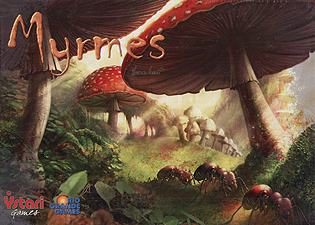 In the kingdom of Myrmes, the ant colonies have been fighting for centuries to dominate their neighbours. To put an end to this war, the council of the queens has decreed that a last battle will decide the issue for the final victory. Send your soldiers and your workers to assault of the kingdom. Fill up your larder, hunt down insects and wisely place your pheromones to conquer the territory. But most importantly, don't forget to prepare for winter.